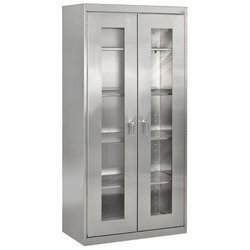 We are a leading Manufacturer of wardrobes cabinet, modular steel cabinets and stainless steel cabinets from New Delhi, India. Due to our transparent deals, we are steadily making our way to the platform of success by providing Wardrobes Cabinet. This Wardrobes Cabinet is broadly valued by the clients due to their high standards of long life and smooth texture. Along with that, we also offer customization according to the specifications given by the customers to fulfill their exact needs. 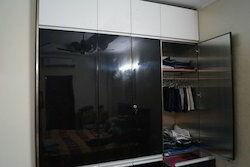 Furthermore, our honored customers can take this Wardrobes Cabinet at affordable rates. Outfitted with a modern infrastructure, we are the most prominent manufacturer and supplier of a wide array of Modular Steel Cabinets. In order to assure about the quality of offered Modular Steel Cabinets, we use top quality material for manufacturing. 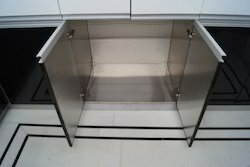 After the finishing of the manufacturing process, we check these Modular Steel Cabinets on several quality provisions so as to assure the flawlessness. In addition, customers can take the offered Modular Steel Cabinets at reasonable rates.